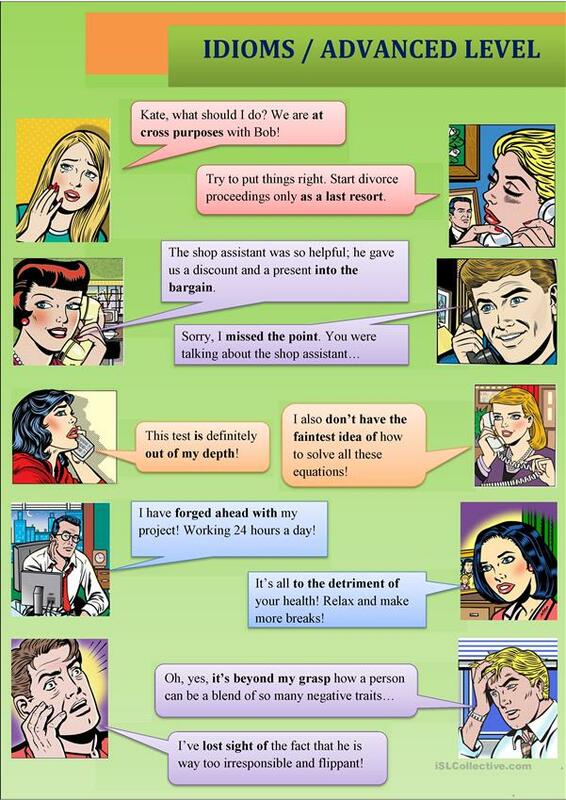 Very useful idioms for everyday communication. Situational examples will make it easier to memorize idioms and put them into practice. The above printable, downloadable handout is intended for high school students and adults at Advanced (C1) level. It is useful for working on your learners' Reading skills. It centers around the topic and words of Idioms.